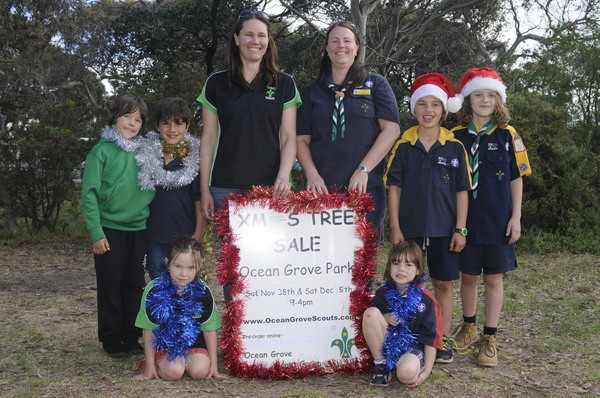 OCEAN Grove Scout Group will bring some cheer to town with its annual Christmas Tree Sale, starting this Saturday. 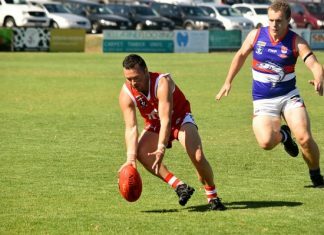 “We’ve got the car boot sale down here the same day – which is great,” said local leader Lisa Dyson. The tree sale is the group’s major fund-raiser, which goes towards equipment and activities, like its planned trip to the New Zealand Jamboree next year. “It’s basically for the day-to-day running of the group,” Lisa said. The two-day sale, at Ocean Grove Park, normally makes $8,000 to $10,000 for the Scout group. It reached $10,000 last year. “We sold 200 trees on each day,” said Scout committee member Fiona Seitz. The Scout group will donate a Christmas tree to the Ocean Grove Library and a recipient nominated by Ocean Grove Connected Communities. Scout committee member, Kate Callaghan, said it was a great year for the Scouts, thanks to community contributions. “The group has been able to deliver one of the most exciting and active programs to our youth members throughout the year,” she said. Kate thanked council for funding leader training and Ocean Grove Connected Communities for contributing towards the uniforms of members. She also thanked the RSL, Rotary and Lions for donating funds to the group’s expedition to the War Memorial in Canberra to commemorate the Anzac Day Centenary. The Scout group will donate $2 from every Christmas tree pre-ordered online to a participating community organisation of the customer’s choice. The sale continues on the following Saturday at the Ocean Grove Park. Full details are on the website at www.oceangrovescouts.com.